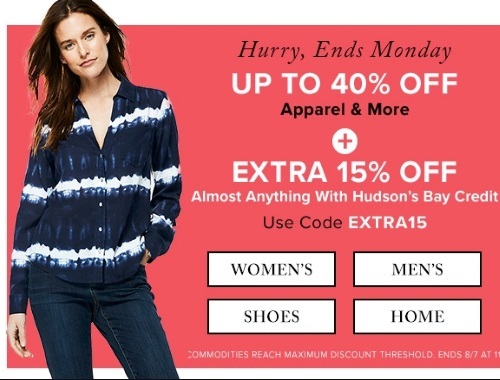 Hudson's Bay is offering an an extra 15% off almost anything when you pay using your Hudson's Bay credit! This includes up to 40% off apparel and more! Enter the promo code EXTRA15 at checkout. Offer is valid until Monday, August 7, 2017.